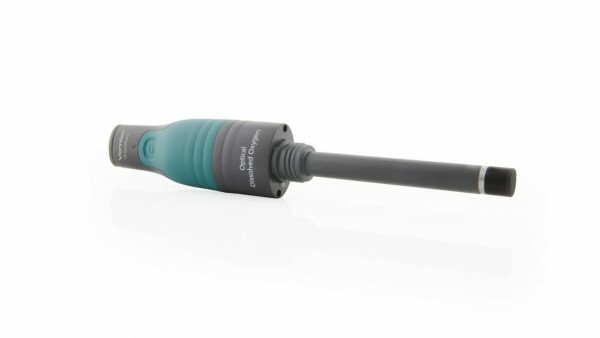 Produktinformationen "Go Direct® Optical Dissolved Oxygen Probe"
The Go Direct Optical Dissolved Oxygen Probe combines the power of multiple sensors to measure dissolved oxygen, water temperature, and atmospheric pressure. Ideal for experiments in biology, ecology, and environmental science courses, the Go Direct Optical Dissolved Oxygen Probe uses luminescent technology to provide fast, easy, and accurate results. Perfect for the field or for the laboratory, this probe requires no calibration, no filling solution, no warm-up time, and no stirring. This waterproof probe is ready to sample dissolved oxygen immediately without additional setup or the need to warm it up—so more class time can be spent on the investigation. Investigate the relationship between temperature and dissolved oxygen in water. Measure primary productivity or biological/biochemical oxygen demand. Explore the interdependence of plants and animals. Weiterführende Links zu "Go Direct® Optical Dissolved Oxygen Probe"
Garantie(Jahre) "Go Direct® Optical Dissolved Oxygen Probe"
Software Apps/Umgebungen "Go Direct® Optical Dissolved Oxygen Probe"
Kundenbewertungen für "Go Direct® Optical Dissolved Oxygen Probe"